The real identity of the bright-eyed scammer remains unknown. 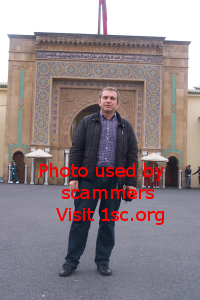 Indeed, sometimes the scammers choose to usurp the photos of not famous people in your country but wel-known on other continents. 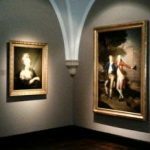 Examples include Juan Soler, Marcos Carrus and Marc Gervais. Sometimes crooks take a photo album of an unfortunate stranger. So we give them names. We are in this second case with the person we are talking about here. His real name is not known. But he’s known on the internet to be the bright-eyed scammer ! 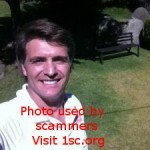 Indeed, scammers use his photos to create fake profiles on dating sites. 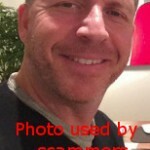 Then they pretend to be this man and try to seduce women seeking for love on internet dating sites. 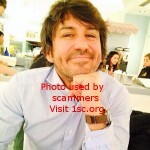 By usurping his identity, the scammers have a lot of photos that can make every woman dream. 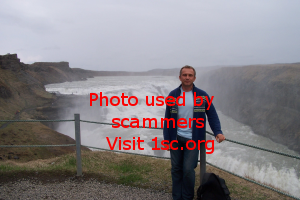 Photos of the bright-eyed scammer in the mountains, on the beach, at the Niagara Falls, in New York. Our man is a real globe-trotter. Yet the term “bright-eyed scammer” is inappropriate. Indeed, it is not the man you see who commits scams on the Internet. They are scammers who usurp his identity. It would have been more accurate to call him “the bright-eyed man whose pictures are used for romance scam”. There are also videos of this person in front of his webcam. This is very useful for scammers because they can broadcast these videos on Skype instead of their own image. In this way, the scammers make their contacts believe that they are the bright-eyed man talking live with them. 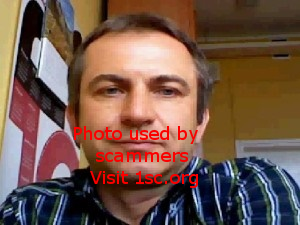 If you meet a person who displays the photos of this man on his profile, this is definitely the beginning of a romance scam. So stop immediately all contact with him. 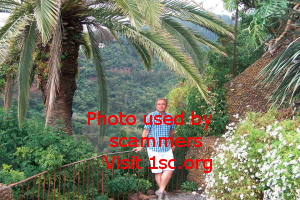 I was victim of a scammer, he falsy portray some business man by the name of, Andy Halford from London UK, they used his pictures and I fell for the lie,, I never send them any money! But I was left feeling abandoned and lonely again! Because I refused to send money and give them my bank info. They disappeared, I’m from the US. This is people from Facebook! And they still trying with new photos etc. They won’t stop! 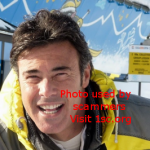 hello, I also fell on this crook saying to be sylvester Cazarre from Dallas, texas. In short I stopped him; and I found by copying his photo on google a website informing he was polish guy !